The Localization feature is available on the What screen of the push notification campaign workflow. 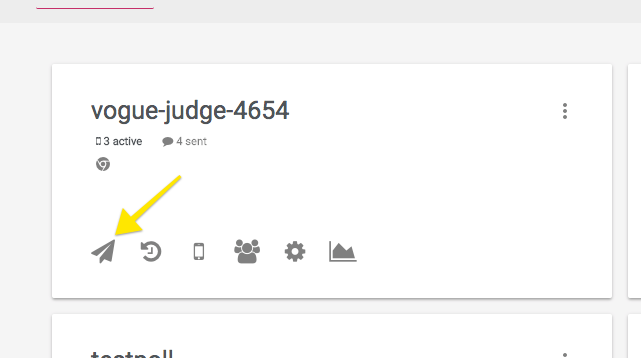 Step 1: from your dashboard click the push icon. Step 2: Select campaign type. On this screen, add the content of your default push notification as required. The default message acts as a fall-back notification sent to users who are not targeted by any of the localized notifications. In the Select Language list, click the language in which you want to localize the push notification. The tab title is automatically updated to display the selected language based on your users actual data. Add the content of the localized push notification as required. 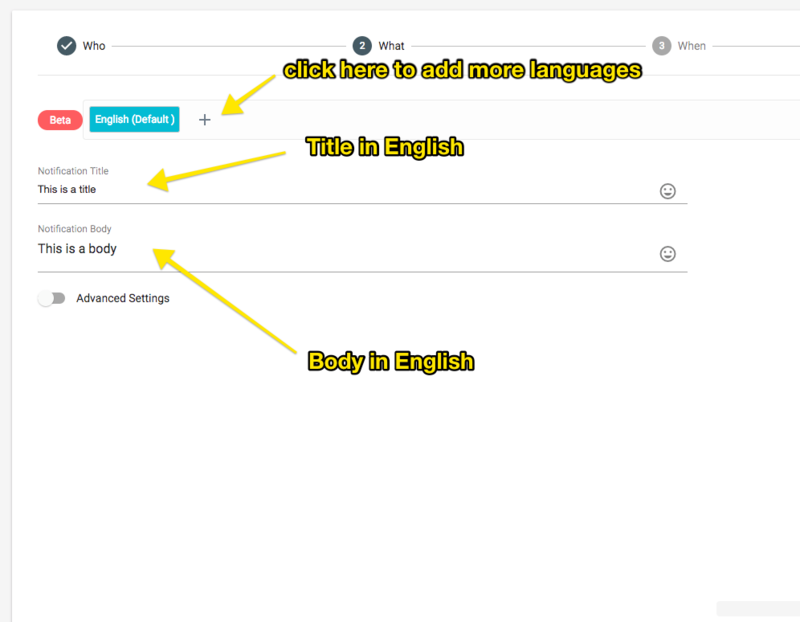 To add additional languages, click the Add (+) icon next to the current tab and repeat the above steps.